A majestic plant with enormous golden yellow flower heads. 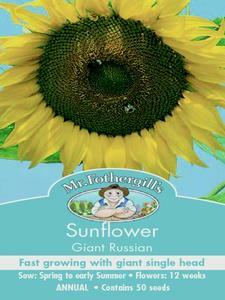 Great fun to grow with impressively quick results - ideal for children. A hardy annual, flowering the same year. Requires a sunny position. 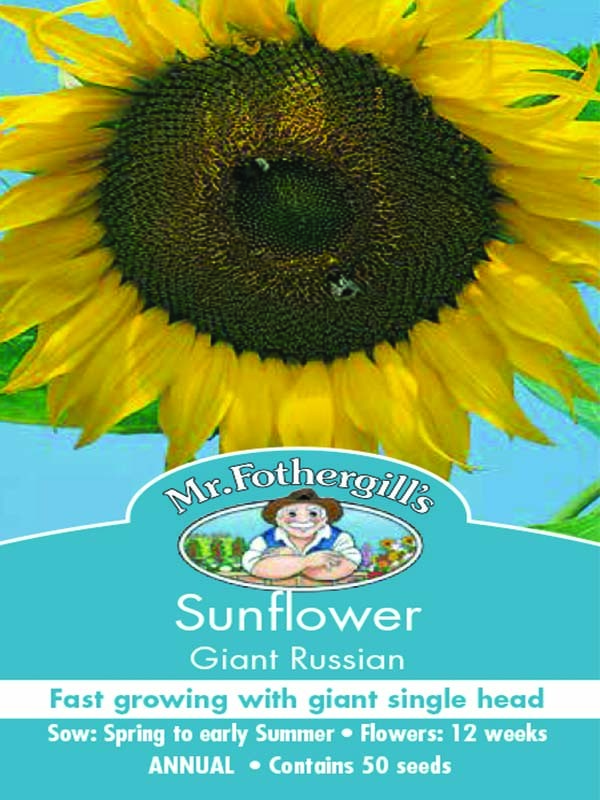 We hope you enjoy these Sunflower seeds, just another great example of flower seeds from MrFothergill’s! Sow two seeds together 5mm (quarter-inch) deep at intervals of about 30cm (1ft), direct where they are to flower. Keep moist until well established and thin out to one plant per position. Tall plants should be staked, particularly as the main flower develops.